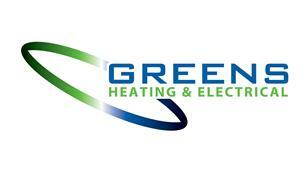 Greens Heating & Electrical - Central Heating Engineer, Electrician based in Fareham, Hampshire. Here at “Greens” we specialise in heating & electrical installation, servicing and maintenance in all applications of domestic and commercial work. Greens mission is to achieve an outstanding service built on dedication to our customers and attention to detail, all of which builds a reputation that consistently satisfies the needs and expectations of our customers. We offer a wide range of services from boiler replacements, new mains boards to designer lighting schemes. We always provide a high quality service catered to your needs. Boiler installations, Boiler Servicing, Gas pipe work, Central heating installations, Radiator replacement, Power Flushing, Boiler fault finding and repair. Fuse boards/Consumer Units Changes, Additional Circuits, Lighting, Electric Cookers, Electric Gates, Electric Showers, Switch’s, Sockets, Outdoor Lighting, Electrical Contracting, Electrical Installation Condition Report (Periodic Testing), Immersion Heater Installation/Repair, PAT/Appliance Testing, Renewable Energy, Rewires, Smoke Alarms, Solar Panels, Storage Heating, TV & Aerial, CCTV, Data and Telecoms, Solar PV. All 3 Phase Work, Motors and Switch gear, Control Gear, Roller Doors, Machinery and High loading Appliances, Office and Warehouse Fit outs, Loading Bay Lighting, Temp Building Supplies, Electrical Installation Condition Report (Periodic Testing), Data and Telecoms, CCTV, plus many more. Our work is always tested and inspected and completed with test certificated and Part P Registered. All Domestic and Commercial installation work is test and inspected and in compliance with current building and electrical regulations. Domestic installation work registered with local building authority under Part P.
For all our customers we pride ourselves on customer satisfaction. Thank you for visiting hope to see you soon.